The walleye–Sander vitreus–is one of the most popular species ice anglers chase, but it’s also the least well-understood by fishermen and scientists alike. Exactly why and how walleye migrate is something of a mystery, though their attraction to spawning sites is obvious. But the key to catching these aggressive predators is to make the most of what we do know, to separate fact from fiction, and to focus on proven techniques and lures. Pound the Ground – One technique that we find productive for turning on finicky walleye is to hit the bottom a few times with our jig. This creates a cloud of sediment that looks like a fish has disturbed the bottom, and the vibration created by that pounding can help draw nearby walleye to your lure. 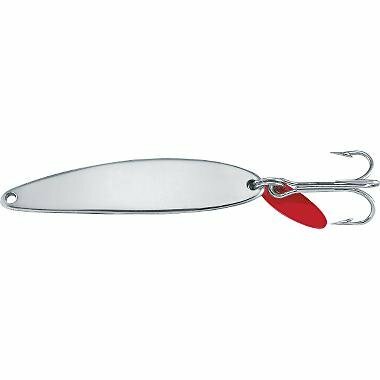 Try alternating this with jigging just off the bottom, and you’re likely to get a few more bites. Jig Aggressively – Generally, we recommend that you start gentle and work your way to more aggressive presentations. 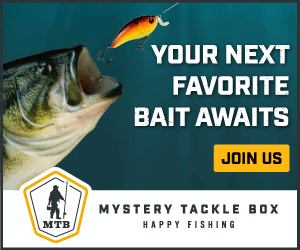 But with walleye, ripping your lure a few times can turn heads and entice bites. Sweeten, Sweeten, Sweeten – We can’t say this enough–sweeten your lures and jigs! A minnow head on the ventral hook of a Chubby Darter or Jigging Rap can often prove irresistible to walleye. And an Oddball rigged with a minnow behind the head is money. Try passing the hook through the mouth, out the gill, and back through the body. Lure them up – Sometimes, you can see the walleye on your flasher, but they just won’t take your jig. When this happens, try lifting your lure a few feet, and then a few feet more, being sure to retrieve line as you do so. This can trigger the walleye to give chase, and if that happens, stop and jig. You just might get that bite you’ve been looking for. Resembling a hybrid between a pike and perch, these olive and gold fish sport a mouth full of teeth and a ferocious appetite to match. Walleye are fish-eaters, feeding on lake herring, perch, smelt, suckers, and other prey species. That’s an important point to understand, as it defines aspects of their movement and behavior that clever anglers take advantage of. Indeed, the key to catching them on the hard water is to understand their movement and feeding patterns–a complex interplay of light, structure, and prey habitat. Walleye have been tracked with tags, and it’s well-known that they can sometimes migrate long distances from summer feeding areas to spring spawning beds. The exact patterns and distances are location-specific, and there’s no rule of thumb to go by. Those beds can be rocky or muddy, so you’ll need to know the area in order to judge where to start drilling holes. 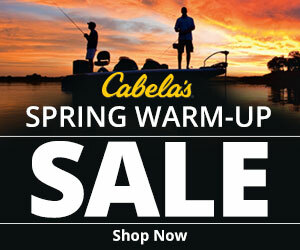 But don’t be misled: walleye don’t move as much as you might think, at least not once the water starts to freeze. By then, they’re already near where they’ll spawn in spring, having made the journey with full bellies and the fat reserves they need to get through the winter. Daily migrations are a bit easier to predict, though, and you’ll need to learn these as well as you know your children’s faces. Once walleye are in their winter position near spawning sites, they only move to feed in predictable cycles. Don’t worry about migration patterns–that process is over and done by the time you’re on the ice. In fact, finding walleye under the hard water is a question of recognizing their vertical movement patterns as they chase prey during peak feeding times. It’s important to recognize that the location of prey species directly impacts where walleye move to feed. For instance, if baitfish are schooling in a transitional area rather than in the weeds, that’s where you’ll find the walleye, too. Your knowledge of what’s below the water is perhaps the most important factor for locating walleye as they move shallower, and you must locate their food to predict where they’re going, though those distances won’t be big. This feeding movement happens an hour or so before dusk and can continue into the evening. That predictable behavior is what walleye fishermen target, and it’s critical that you realize these fish will be on the move. Once you know where they’re holding and where they’re going, you need to take advantage of this daily pattern. In contrast to most species, fishing for walleye at dawn is not tremendously productive. Many experienced walleye anglers concentrate on the evening, instead. They’ll often arrive on the ice at mid-day, and they’ll drill plenty of holes that give them access to that movement pattern, starting deep and ending shallow. To chase walleye near dusk, you’ll need to move quickly to stay ahead of them as they change position, and you won’t have time to drill new holes. Walleye feeding is triggered by light. Ask any ice angling veteran and they’ll tell you that the 90 minutes surrounding dusk, overcast days, and any other conditions that disrupt light levels will trigger these fish to hunt. On open water, for example, “walleye chop” caused by a stiff breeze is a prime driver of feeding. Translate that lesson onto the hard water, and you’re a long way toward consistently landing fish. When the light is low, walleye are going to rise from the depths looking for a meal. You’ll find them where they’ll look for prey, and most of the time, they’re going to work the edges of living weed beds, patrolling for smelt, suckers, shad, and other small prey species. As a rule, they’ll move from deeper holding positions to shallower water where they can find food. We particularly like to look for points. Walleye seem to hunt these more than any other underwater topography. You should look for them to congregate anywhere there’s a shallow area offering a drop-off and a good habitat for prey species. Walleye are aggressive predators looking to sink their teeth into other fish. All jigs, spoons, and lipless crankbaits that mimic small fish are good choices, as are minnows of all kinds. In our experience, there are stand-out choices that drive walleye crazy season after season. Let’s take a look at our lure and bait tips to see a few of our favorites. Especially in larger sizes like ¾ ounces, Bay de Noc’s pimples are deadly on walleye. They flash and move like a prey item when jigged. 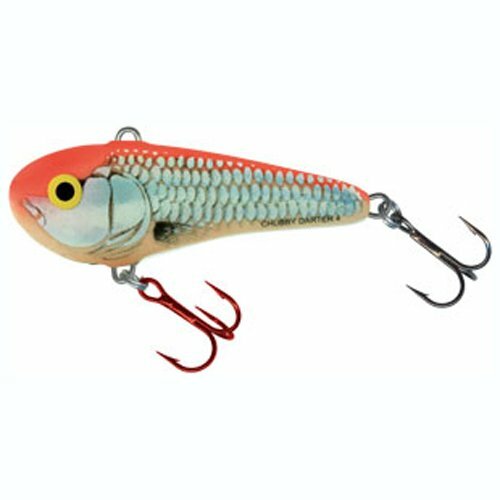 Armed with a tiny red blade to add a touch of attractive flare, aggressive fish will hammer this lure when nothing else is working. Rapala’s Jigging Rap is legendary as well. By design, it darts and hovers, turns, and floats like a shad or sucker. Once you learn to work this finesse lure, its ability to turn bites on is incredible. The Chubby Darter’s unique shape and action imitate a baitfish in distress, and it’s a worthy complement to the Rapala as it provides a different action and look. When fished properly, it will dart and drop like an injured perch or shad, and it’s now a staple of ice anglers everywhere. Generally, orange and perch seem to be the best colors. It just doesn’t get more realistic than the awesome Live Target swimbaits, and it’s easy to see why walleye will take a bite! Its flexible tail provides fantastic action, and when rigged with a quality treble hook on the ventral eye, hooksets will be no sweat. Jig heads are definitely not made equal, and we like the crazy action these Oddballs impart to a minnow head or body. Whether a mono or fluorocarbon leader is essential for walleye is something anglers can’t agree about. Walleye do have sharp teeth, but they’re more like fangs than knives. Experiment and see what works best for you, especially if you fish clear water. Chasing walleye on the ice is about as addictive as it gets. They’re fun to catch and make an awesome meal, especially if you keep to the smaller end of the legal size. If allowed where you fish, walleye between 12 and 15 inches are perhaps the finest meal the winter water has to offer, and we’re never disappointed to bring home a few of these beauties for the kitchen. When we don’t want to eat them, though, we’re careful to catch and release. If you find these tips and tricks helpful or think we’ve missed something, please leave a comment below. We’d love to hear from you! This was a great write up about techniques for catching walleye! I am an avid angler that is addicted to catching greenbacks! This article was well written and very informational. Thank you! Thanks! We appreciate that you took the time to comment! I often wonder if the walleye in Montana react the same as those in the more popular walleye states. I am often skeptical of walleye fishing techniques from out of state. Kenneth, thanks for commenting! Please let us know if our tips work for you. Thanks, I’m glad I found this info, I’m turned 60 this year and Ice fishing was on my bucket list. I have been fishing all my life, salt and fresh water. Two weeks ago got my first walleye on a kasmaster spoon with a little something on the hook right before dark, with some help from some friends I’am hooked now, Thanks again. That’s awesome! Glad we could help!